Tolerance is following the motto “Live and Let Live!”. Tolerance is just understanding another person’s beliefs, practices and habits without necessarily accepting them or following them. 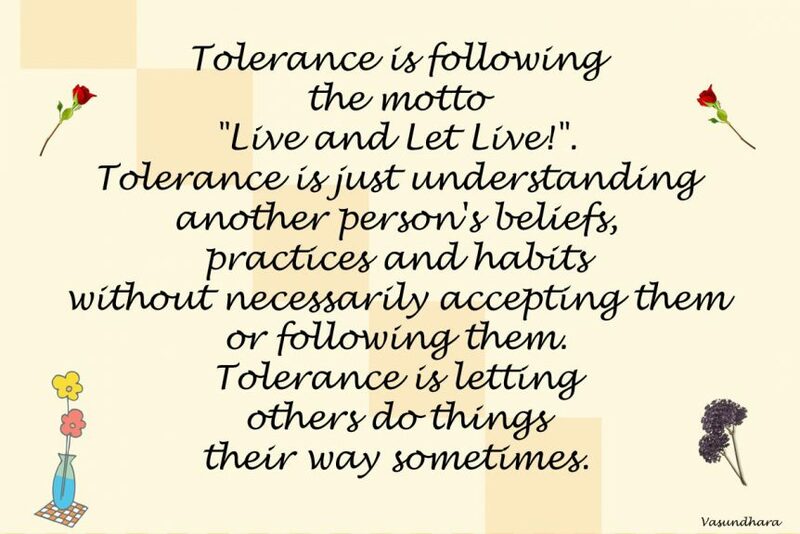 Tolerance is letting others do things their way sometimes.